Check out this amazing drone video of the Persian Gulf city of Doha, by top contributor Fit Lam Studios. Doha is the main city of Qatar, which has the distinction of being the world's wealthiest country measured by per capita income (as of 2017). 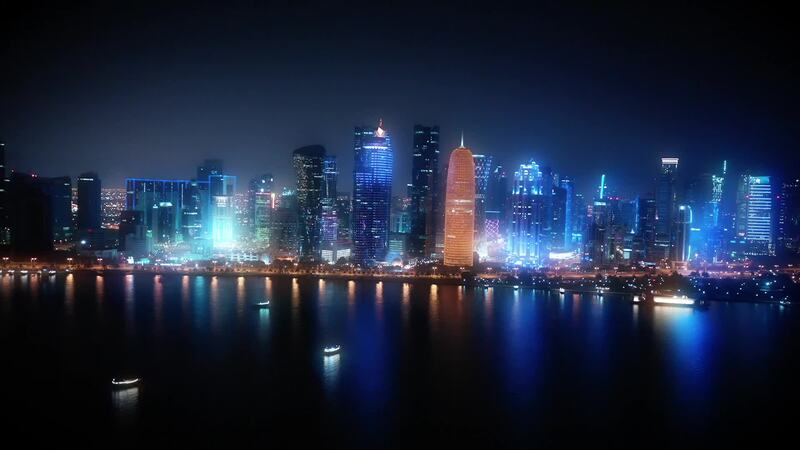 With a metropolitan population of nearly 2.5 million, Doha is the home of almost nine in ten Qataris. Doha sports an impressive skyline, with nearly two dozen skyscrapers over 150 meters (500 ft.) in height and more under construction as of early 2019. Description: Doha is one lit city fam.